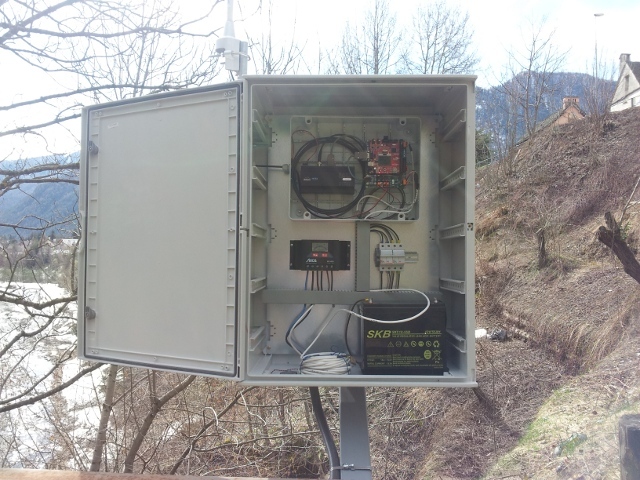 In this project an hydrometric station has been developed using high performance radar water level sensor and low power embedded systems. 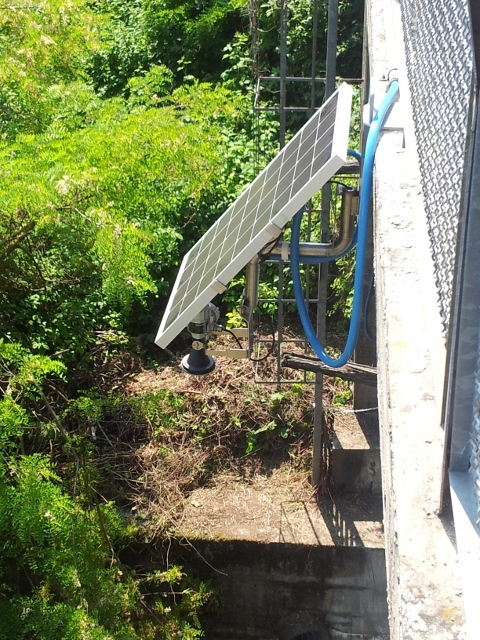 The entire system is powered by solar energy and uses a Texas Instruments MSP430 micro-controller for all operations. Level water measurements are requested to sensor in polling mode, stored in a microSD and sent to remote site thanks to a TETRA wireless network. The station behaviour is based on profiles concept. Each profile defines the receiving and transmitting windows duration and the measurement period. Three profiles are implemented and the transition from one to another is based on river level variation. A remote user can modify the station settings (like measurement, transmission and receiving periods) sending commands over the TETRA connection.